Zoom imageTresta Beach. There are many reasons to visit Fetlar. The most popular of these is to see the abundance of wildlife, but there is much more to Fetlar, including fascinating geology, a varied and interesting selection of walks, an impressive range of cultural events, and more. We would greatly appreciate if you could give us feedback on your visit by completing our 2016 online visitor survey, unless you have already completed a paper version on the island. Fetlar is blessed with an abundance of birdlife including many rare and endangered species such as the red-necked phalarope, great and arctic skuas, red-throated diver, curlew and snipe to name but a few. The island is also lucky to have a population of wild otters, a favourite with many visitors, although the otters' shy nature means they are not always easy to see without the help of a specialist guide. On the beaches various species of seals are common and if you're lucky you could see orca or minke whales in the waters surrounding the island. Fetlar also has a very diverse geology including the Funzie conglomerate. There is also the wonderful flora and fauna. A number of walks have been set up around the island all with stiles and gates installed to guide you through the area and give you great opportunities to see the wildlife and other attractions of the island. If your visiting in 2016 please be sure and check out the cafe page, for the latest information on opening hours etc. Please note the cafe normally opens seasonal hours. Whatever your reason to visit we hope you have a wonderful time. A number of events take place on Fetlar each year, along with frequent one-off attractions. Popular examples include the Fetlar Sheepdog Trials, Hnefatafl World Championship and various music events. 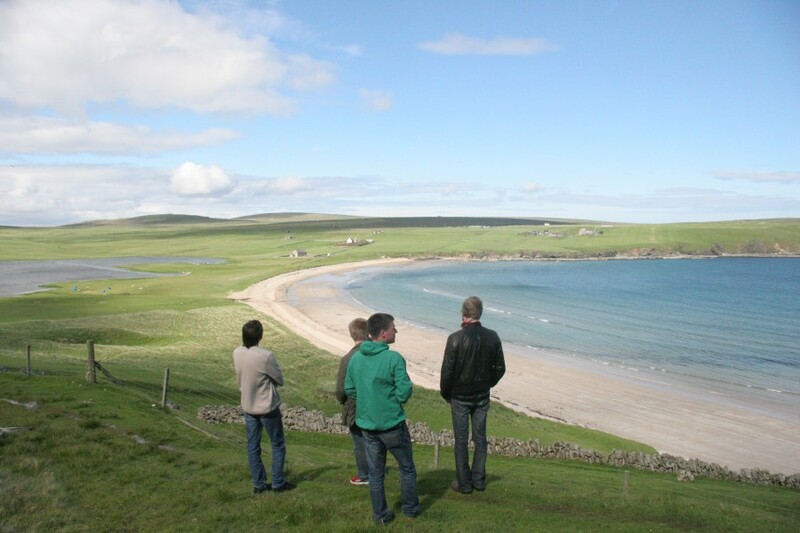 Although there are relatively few visitor accommodation establishments in Fetlar, you can still choose between bed and breakfast, self catering, caravanning or camping. While Fetlar is a wonderful place to visit, it is a remote island and does not have many of the services which would be considered normal in many parts of Britain. This is especially relevant during the period outside the main tourist season from May to August. Here we answer many frequently asked questions about Fetlar, and about planning, booking and enjoying a visit here.